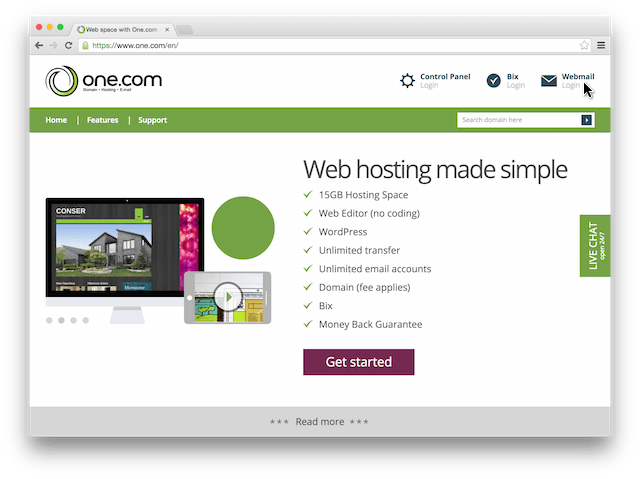 One.com Webmail is an easy way to access your emails. You don’t need to install any software or worry about getting the settings right. Log on your webmail from the nearest computer, your smartphone or tablet. To be able to use webmail, you need an email account. Create your account in the Control Panel. 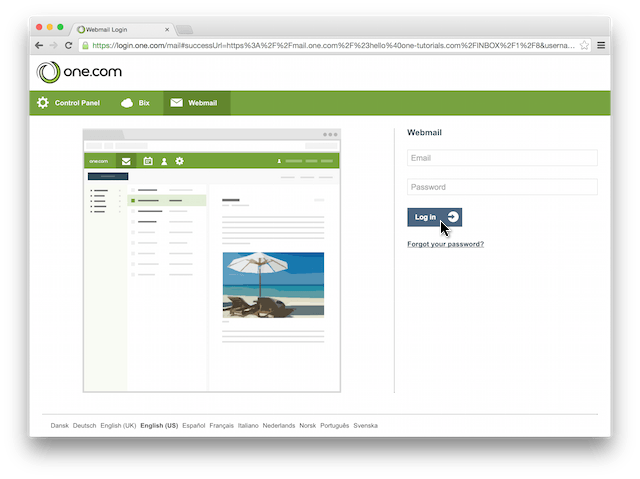 Access webmail from the browser on your computer or mobile device. Go to our website, www.one.com. Webmail supports desktop versions of Chrome, Firefox, Safari, Internet Explorer 10 and newer. 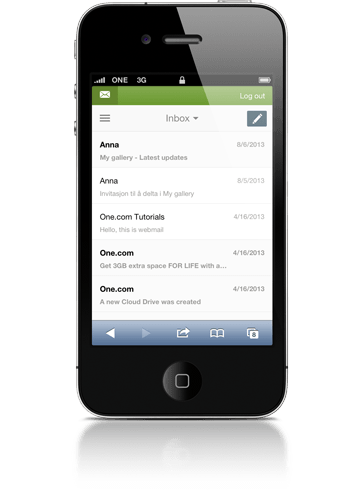 In addition, webmail supports mobile devices; iOS 6 and above, Android version 4 and above and Windows Phone 7 and above. Start to type in a name in the field To: . Webmail will automatically search for email addresses from Contacts or from past mails, you sent. If you are sending a message to a new person, type in their full email address. When you are done, click Send. Tip: If you want to add images in Webmail, just drag the images from your computer to where you want to place them in your message. Resize an image, by dragging its corners, after adding it to your message. To delete emails, select the emails you want to delete, and click the delete icon. You can select several emails at a time by using the select function. To search for subjects or senders in a specific folder, just enter what you are looking for in the search field, and press enter. You can add a star to messages that you want to track or follow up on later. You can access webmail on your smartphone or tablet. 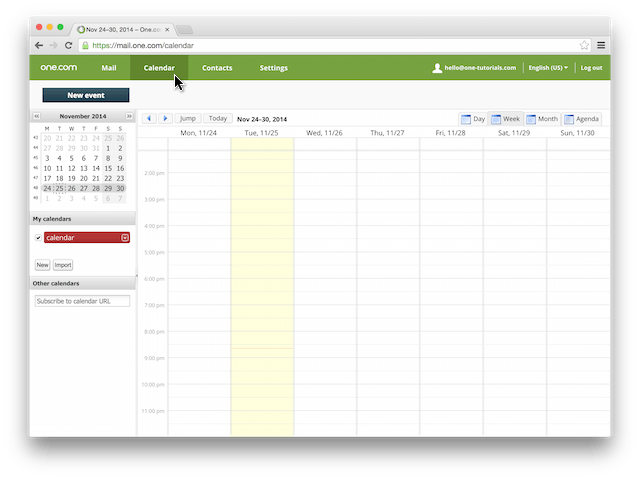 Click Calendar in the top menu. 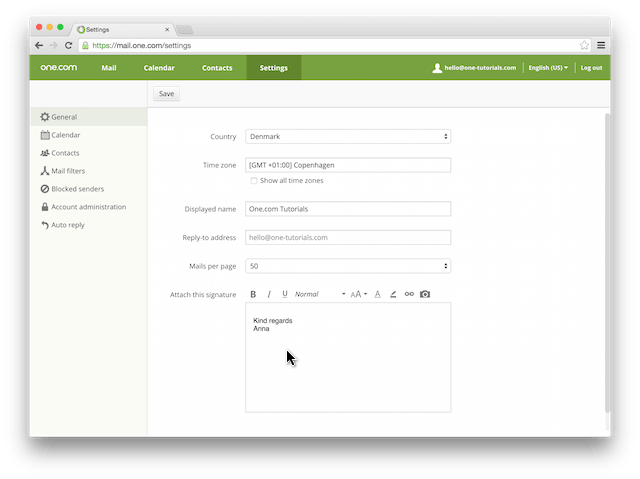 Add a default signature to your emails, to make sure all your emails end with a proper greeting. 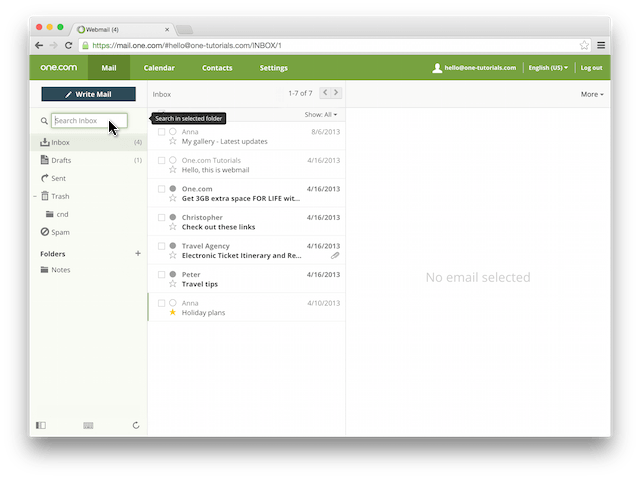 Filters and folders makes it easy to organize your emails in Webmail. Just drag a message to the folder where you want to place it. Let webmail filter your emails for you. Webmail’s filters can automatically put your emails in folders, mark them as read or add a star to them. Webmail stores your contacts alphabetically so you can get quick access to them when writing emails. Your display name and reply-to address can be updated once you are logged in. Webmail supports 10 different languages, and you can easily switch between them.